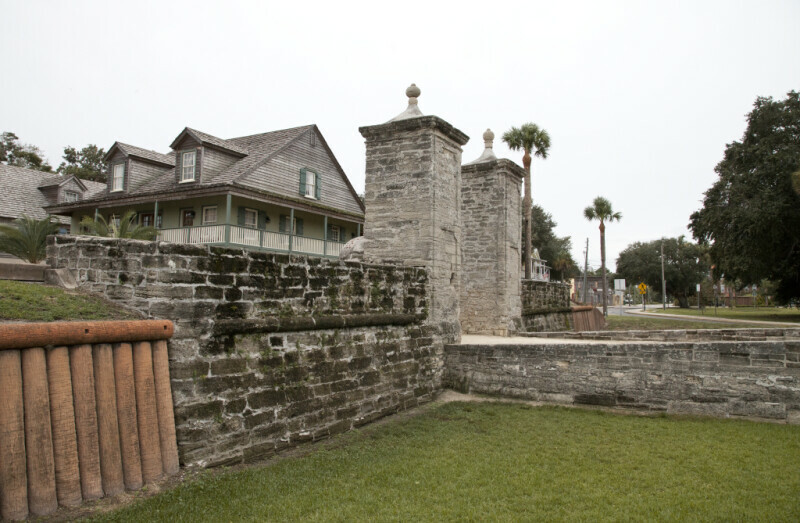 This is the Old City Gate of St. Augustine, Florida, as seen from the north. There are large, square pillars of coquina on each side of the gateway, each topped with a finial. There is a short length of coquina masonry wall, to either side of the pillars. The walls abut earthworks, at both ends. The Old City Gate is listed on the National Register of Historic Places, as part of Castillo de San Marcos.